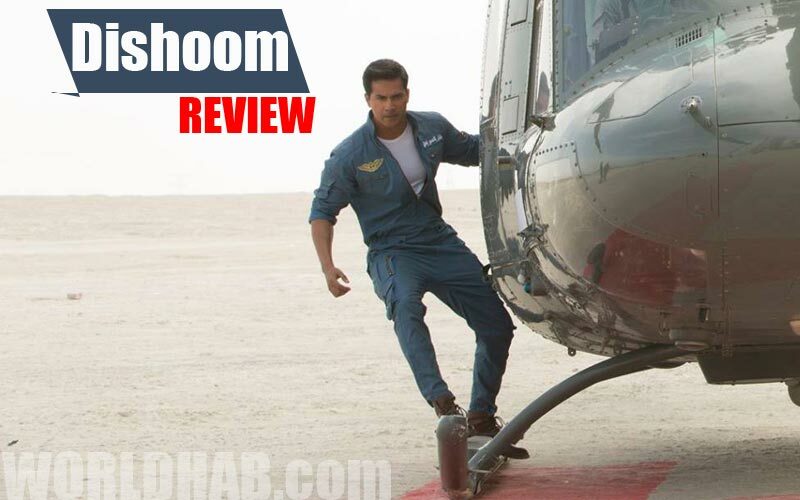 Dishoom Review: Hello Viewers, here we provide the Review of this weekend Bollywood Movie named “Dishoom.” Jacqueline Fernandez, Varun Dhawan, and John Abraham were featured in this film as the lead roles. This movie releases all over this world on this Friday, 29 July 2016. It creates more expectation on this second half of this 2016. The promotional steps of this film have completed. This action adventure genre has directed by the Rohit Dhawan. Scroll down and get the full review about the movie Dishoom. The fans of Bollywood expectation make a big buzz due to the promotion of this film. The film included big star cast and songs. Recently T-series updated the JuckBox for this movie on July 15, 2016. It will fulfill the hearts who are all visiting theaters. Akshay Kumar, Nargis Fakhri, and Parineeti Chopra has played cameo roles. This movie contains the both of the genres as the spy thriller and equal space for humor scenes. Akshaye Khanna’s come back with great acting, he the antagonist Rahul (Wagah). We separate the movie review on the first part and the second part, which is also called as the before interval and after the interval. In this movie, the first half part scored the average rating. The Second half part has occupied with the action and adventure. The Two Indian Cops are the two most important lead roles in this film. The Story will move by using these two characters. One is John played as Kabir Shergill and Varun played as a Junaid Ansari. These two guys are posted on the job to search missing Viraj. The man, Viraj is the top Indian batsman. He was kidnapped before on the match of India vs Pakistan in the location of the middle east. The Screenplay and editing work makes this film as good, but the direction didn’t reach the great greetings. We all heard the music albums as already. It trended as per the expectation. Abhijit Vaghani’s background score is also got the same result. Pritam’s music worked on the song ‘Sau Tarah Ke.’ The location and visuals are looks fine and the cinematography focused the scenes well. Overall: It is the Action and along with Humor Entertainer. It scores the rating as 2.5 to 3.5 stars from critics. The Last Weekend of July has been ended with the release of Dishoom and many films. Because of Star cast and promotion, the film may expect to reach the 10 Crores on its first day. One of the leading young star in the B-Town, Varun. He had most of the young fans and he is famous for the style of mass. Share your Reviews here below on Comments. If you like our Review, then Share it with your friends on Social Media. Stay Tuned with us on our WORLDHAB Facebook Page.